Marcin Malicki is an experienced product manager with proven track record of large-scale digital deliveries. In Exatel he is managing sales, product development and marketing. 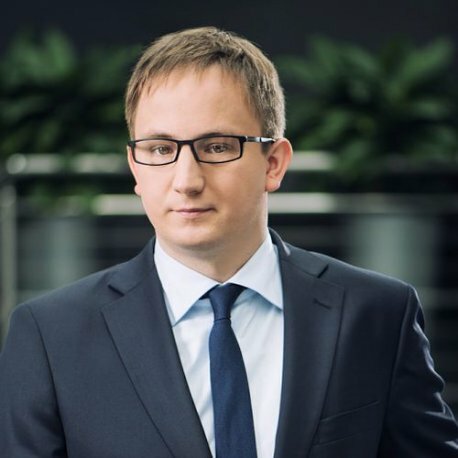 Last years he worked as a product director in Wirtualna Polska Holding (the largest online media group in Poland), where he was responsible for technical development and launch of WP Television. In previous years, he held various managerial functions in the areas of product development, UX Design, marketing, advertising and sales in commercial and public sectors, including Center for Informatics Technology, National Digital Archives and National Audiovisual Institute. He has been also lecturing UX Design at the Social Science and Humanities University in Warsaw. He is a laureate of numerous international and domestic marketing & digital awards including Golden Innovation Award 2017, 3 nominations in the Cannes Lions Festival of Creativity 2015, Best in Show in the Mixx Awards 2015 (IAB Polska) and Silver Awards in the Mixx Awards Lizbon 2015 (IAB Europe).